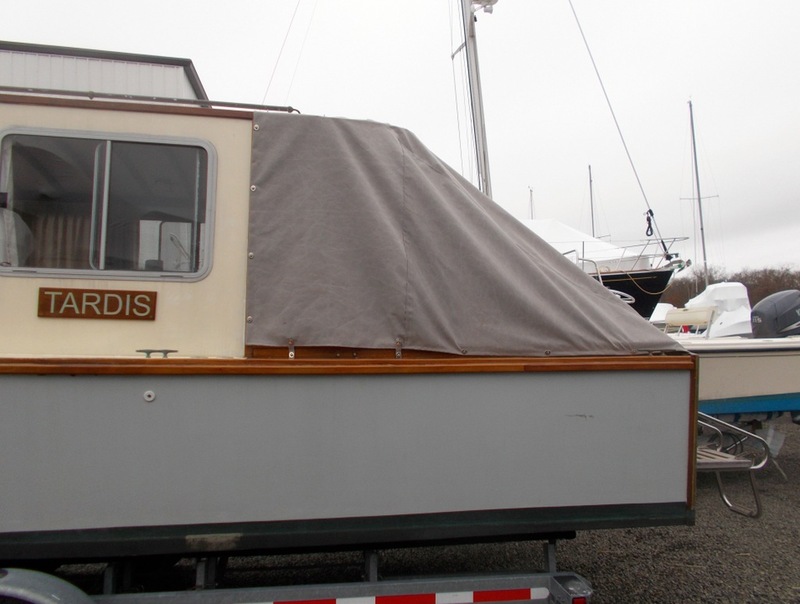 Tardis headed back to Vero Beach Tuesday behind Chadd Mowry’s truck and is now safely parked at Absolute Marine. 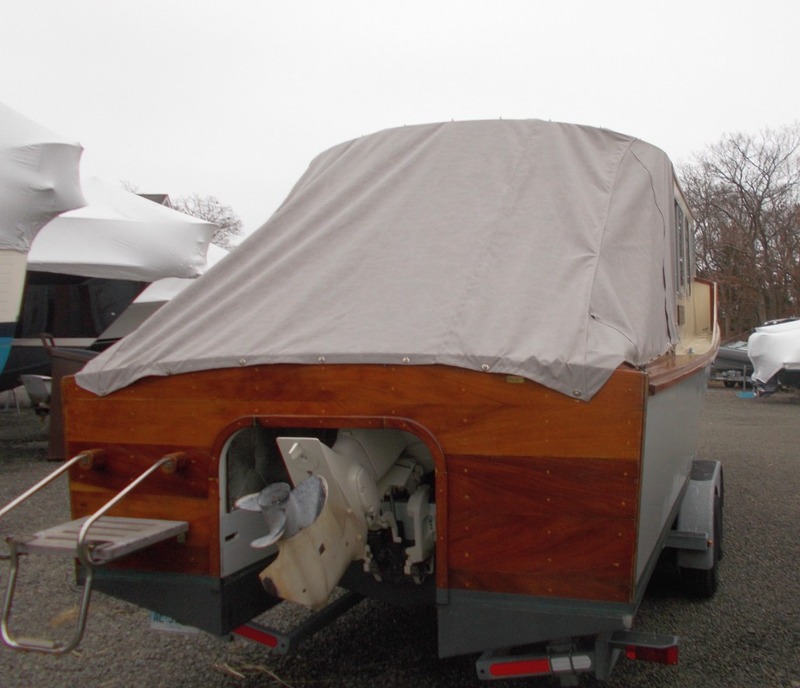 I won’t get down to late January, but I thought it would be better for the boat to be parked in the Florida sun rather than the Connecticut snow banks. 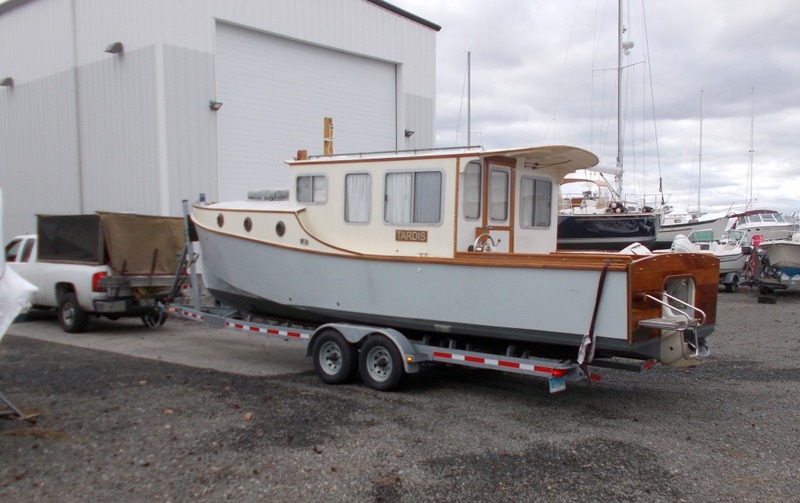 But that put me on a tight timetable between the election and Chadd’s arrival to get the boat ready to go. Even so, it felt good to be back in the shop every day. The biggest job by far was to make a cover to keep rain out of the cockpit and protect it from the sun. 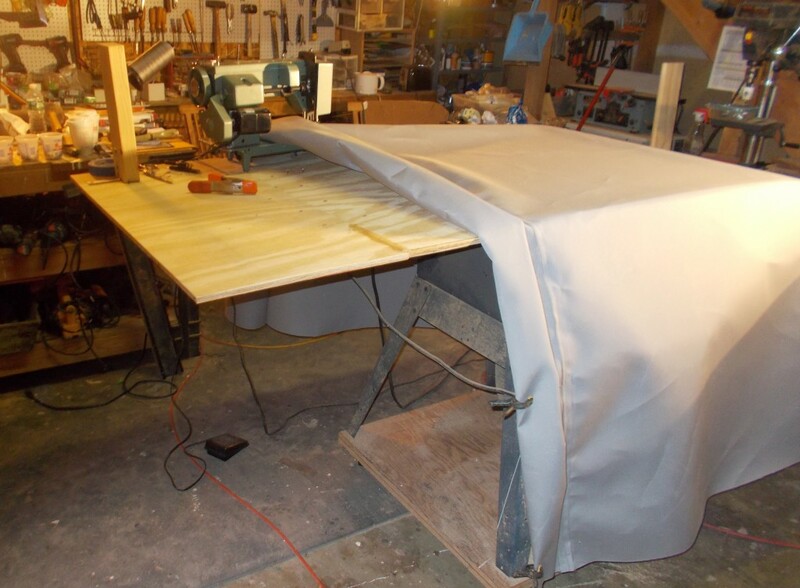 As always, I thought this would be pretty easy, but the way the cabin top and transom curve meant that I had to cut and sew together five individual pieces. And it seemed that every other day we had 30-knot winds, so wrestling the big pieces of canvas to a fit with a mouth full of pins meant that I went for “close enough” all too often. The result isn’t super-tight, but seems pretty effective. When it blows, some rain does get in, but I think we are sun proof for sure. I also had enough scrap left over to make a cover for the engine. 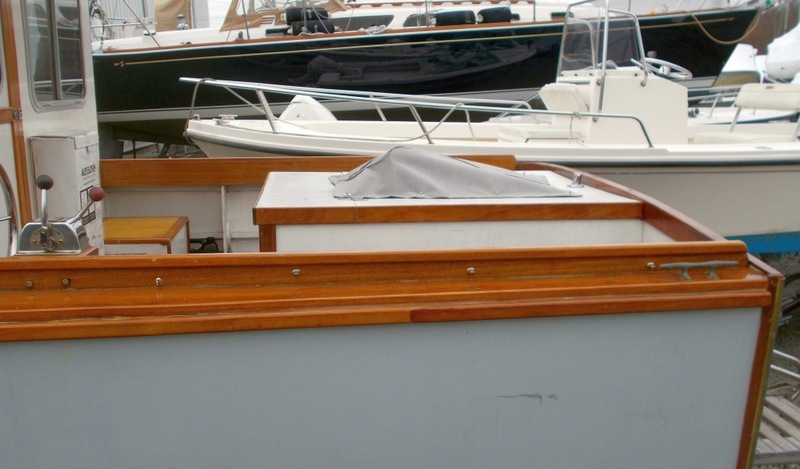 Lots of seams, but it looks better than a classic-looking yacht with an engine sticking out of the motor-box. 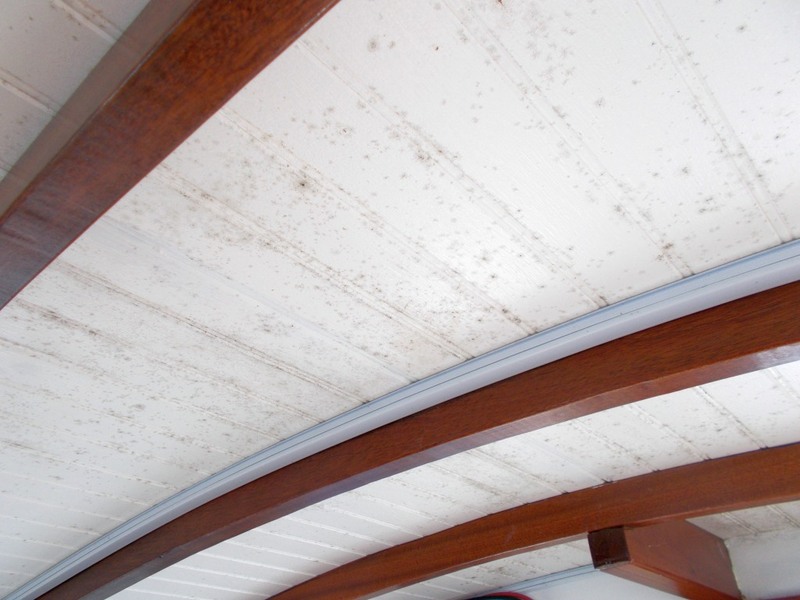 We had a really wet fall, and I was getting a lot of mildew in the boat. 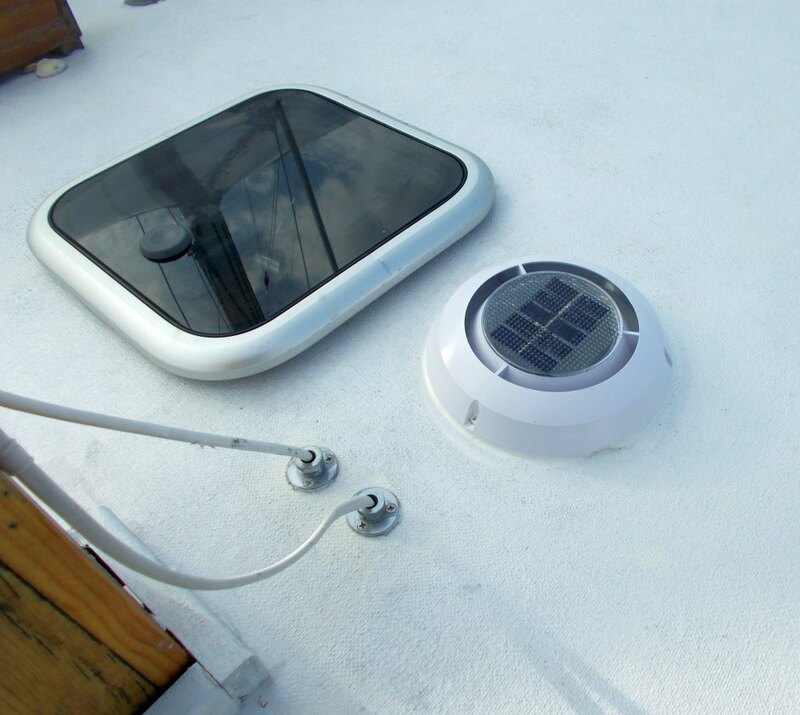 So I added a solar vent to keep some air moving through the boat. The cruise plan for this winter is a month in Vero, then across Lake Okeechobee to Fort Myers and up the West Coast. Since the trailer and car will be back in Vero, I may double back there, or Chadd might be able to bring both over if we can work out the timing. I have to be back here the first week of April, then off to Paris and a trip down the Seine to the Normandy beaches. Rugged schedule, but somehow I will persevere. Putting on the last pieces makes a pretty big chunk of canvas to handle. 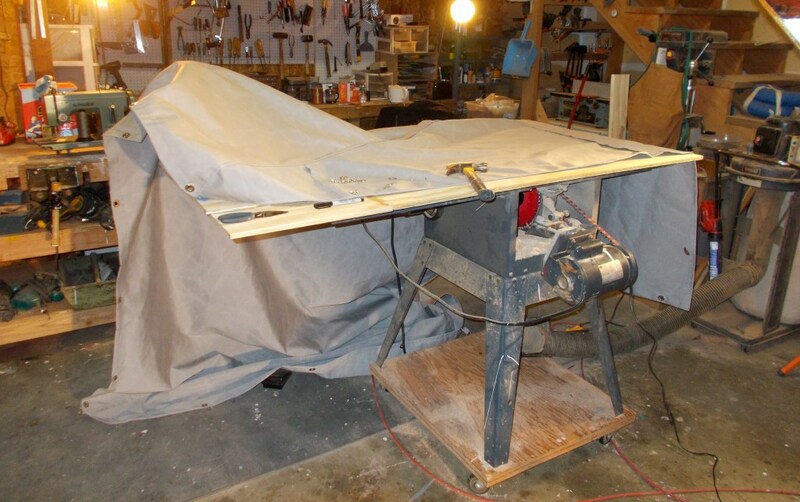 Sewing Center on the table saw. 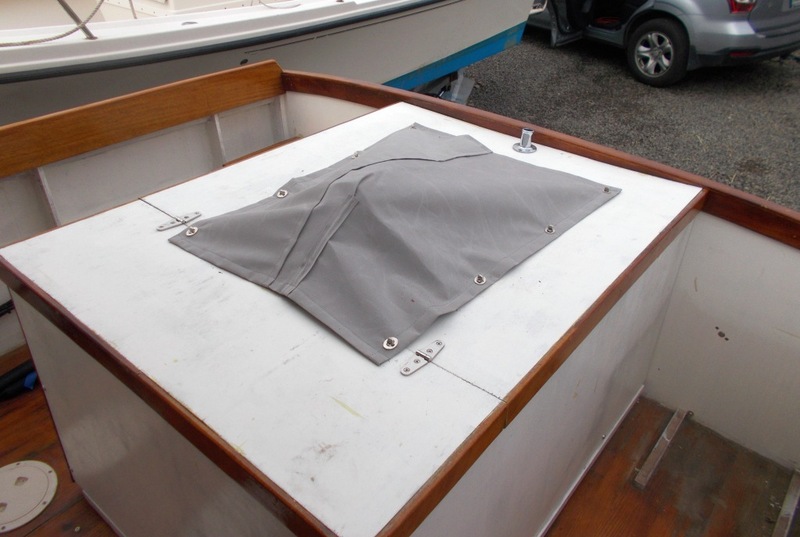 Engine cover — gray to math the hull. New solar vent. Very unobstrusive. 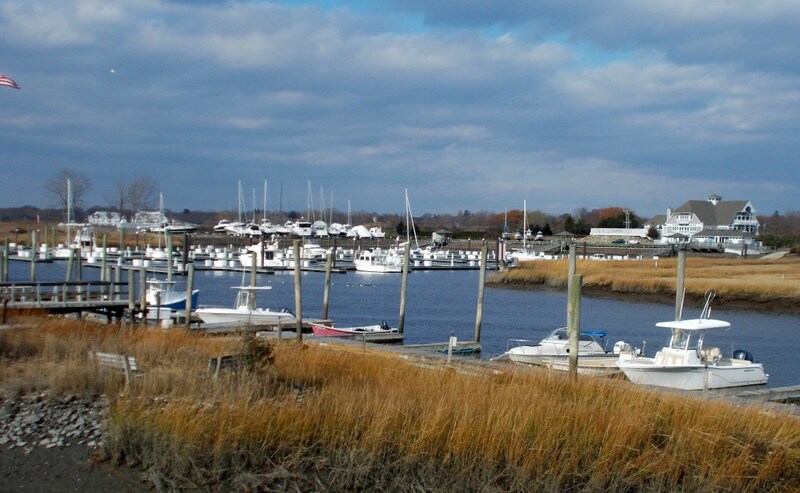 View of the Guilford Yacht Club from the canvas project. I spend too much time looking out, not enough working. Install a mechanical dehumidifier,drain overboard into sink. Works great, no mold. Boat looks great. Leaving Vero March 1, so will get to Ft. Myers about 3 days later. Then on West Coast through March 30. Hope that works for you. i will pencil it in…how far up the west coast will you venture? i live in land o lakes! Paul, we have been following your blog for a while ,my friend Ton (you and him have he had some communications) and I are now planking the hull of the same design as yours.We would like to invite you to visit when you are traveling to Florida .I am assuming that you will travel down I95 I Iive about 30 minutes away from this highway .I will send you some pictures to your email. I would really like to see the boat. I believe I will be heading past you on January 30 if that’s convenient. Look forward to receiving pictures. Scott – Trying to get to Cedar Keys. Will definitely be spending time in Tarpon Springs eating Greek pastry, which is close to you. Awesome Sauce! Maybe we can swap tours? Barn and boat for me…I can definitely make it over to either Tarpon or Cedar!!! So looking fwd to seeing a similar build. Kewleo!